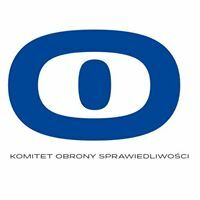 Solidarity with the Judges of the Polish Supreme Court – Stowarzyszenie Prokuratorów "Lex super omnia"
MEDEL is deeply concerned that despite all warnings, the Polish government’s attempt to lower the mandatory retirement age of judges is due to come into effect this week. MEDEL also likes to express its solidarity with the Judges of the Polish Supreme Court and shares their view, that prof. Malgorzata Gersdorf should be considered as the legitimate president of Polish Supreme Court until the end of her term of office, in April 2020. MEDEL also considers all forcefully retired judges of Supreme Court as active Supreme Court judges, until the end of their terms of office.